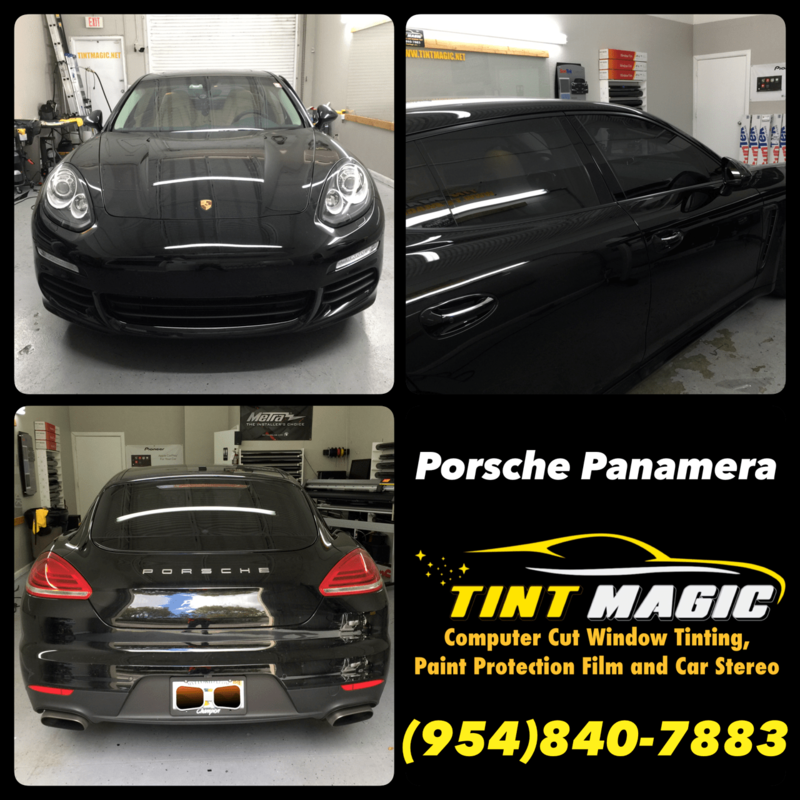 Porsche Panamera at Tint Magic Window Tint Coral Springs. We have applied Llumar CTX Nano-Ceramic Tint 30% on all the windows except front windshield. Find more information about Llumar CTX Nano Ceramic Tint. No matter what you think about the Panamera’s styling, its dynamic abilities are beyond question. The base engine is a 330-hp twin-turbo 3.0-liter V-6 with rear-wheel drive and an eight-speed automatic; all-wheel drive is available. Optional is a 440-hp twin-turbo 2.9-liter V-6 with the eight-speed and all-wheel drive; we estimate a zero-to-60 time of 3.2–4 seconds. A hybrid is also available, EPA-rated at 51 MPGe. A 12.3-inch touchscreen in the center of the dash controls the infotainment.